A release issued by HM Coastguard to mark the occasion stated: “All of us at HM Coastguard have enormous respect for the search and rescue helicopter service our military colleagues have provided for more than 60 years. The Maritime and Coastguard Agency (MCA) is a frontline delivery and emergency response organization which is an agency of the Department for Transport. Part of the MCA is HM Coastguard, which provides a UK-wide maritime emergency prevention and response capability which responds to calls for help by radio, satellite or the 999 service and co-ordinates maritime search and rescue (SAR) within the UK SAR region. The agency helps approximately 25,000 people each year with 21,000 incidents co-ordinated by its rescue centres. Bristow Helicopters, the leading provider of industrial aviation services offer exceptional transportation, search and rescue (SAR) and aircraft support services, including helicopter maintenance and training, to government and civil organizations worldwide. Bristow provides SAR services to the private sector in Australia, Canada, Guyana, Norway, Russia and Trinidad, and to the public sector for all of the UK on behalf of the Maritime and Coastguard Agency and already provides helicopters and crew to two bases in Shetland and the Western Isles. 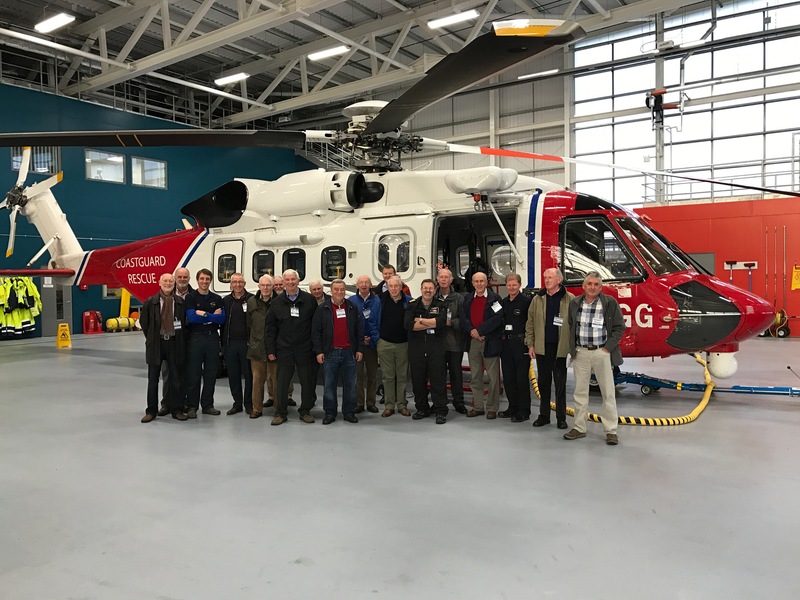 Seven more UK Coastguard helicopter bases will open over the coming months and as this is rolled out the military helicopters which currently carry out civilian search and rescue will finish their civilian obligations. The helicopters in service are Sikorsky S92s and AgustaWesland AW189s. They can fly further and faster than the venerable Sea Kings which have served with distinction over the past 30 years. These new aircraft have the latest technologies including night vision, infrared, thermal imaging and high illumination lighting technology which will all be used by the crew to find people in distress and bring them to safety. Ayr Rotary wish to express their grateful thanks to Roger, Rob and “Soappy” whose informative explanations made the tour thoroughly enjoyable.